Any faculty, staff, or student of UWSP who wishes to use animals for research and/or teaching must obtain approval from the UWSP IACUC committee and complete the training tutorial below. Animals covered under IACUC include all live vertebrates such as mammals, birds, fish, amphibians, and reptiles. All projects must be approved prior to ordering, housing, or using live animals. Prior to receiving IACUC approval, Principal Investigators and their research staff (including students) must complete training. Training required by IACUC is dependent upon the work being conducted. Training is provided through CITI Program. CITI training is valid for three (3) years, at which time a refresher course will be required to continue projects. Additional training may be required, if determined by the IACUC or Laboratory Animal Manager. Contact sverbock@uwsp.edu or slavake@uwsp.edu for questions regarding training. 1. All research personnel working with animals must complete the Working with IACUC Course. 2. If you will be working in the field (in an observational capacity or otherwise), you must also complete the Wildlife Research Course. 3. For surgeries on mice & rats, Post-Procedural Care of Mice & Rats in Laboratory Research is required. 4. Animal-specific training is also available, and must be completed for each species you will be working with, whether in the lab or in the field. For help setting up your CITI account, click here. For projects that have a late FALL (November/December) start date the deadline is October 5, 2018. For all new projects that begin in the Winter (January/Februrary) the deadline is November 2, 2018. Annual renewals of previously approved Fall/Winter protocols are due October 5, 2018. The IACUC committee will meet monthly to review new protocols. Meeting dates for Fall 2018 are October 15, November 19, and December17th. 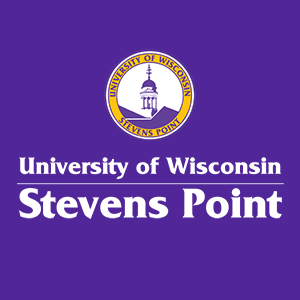 Consult the UWSP Animal Care Policy for specifics on animal use at the university. Questions regarding protocol should be sent to Sandie LaVake (slavake@uwsp.edu), 715-346-4823 or your dept./discipline contact - Scott Hygnstorm/Wildlife, Heather Molenda-Figueira/Psychology, Justin VanDeHey/Fisheries, Jennifer Bray/Biology or Tom Kelble (Community Animal Hospital) tomkelble@hotmail.com. Animal use protocol form - Use this form for any new research or teaching projects which involve animals. Renewal form - Use this form if your work is continuing past one year. Parts 5 & 6 explained - More detailed information on how to fill out parts 5 and 6 of the protocol form.